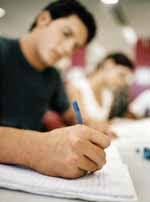 There are an apparent sets of criteria to be followed by students in order to score your report essay in EST Paper 1. The rule of thumb is NEVER omit even a single point. Every points (task) given in the question has to be elaborated with additional information. When elaborating each points, try to associate with your scientific knowledge (Physics, Biology or Chemistry).